Black Sabbath frontman Ozzy Osbourne is wishing fans the best of the season. 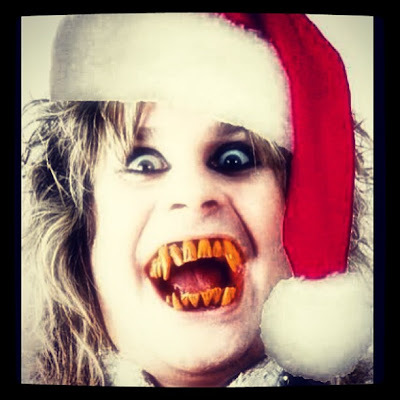 On Tuesday, Ozzy shared an instragram photo of himself featuring a Santa hat and some scary fangs. Ozzy is currently working with Sabbath on a new album; the group is teamed with producer Rick Rubin on the project, which will be released in April. Sabbath kick off their 2013 tour in Auckland, New Zealand on 4/20.